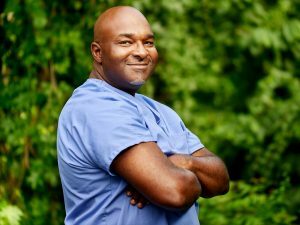 Dr. Bruce Nwadike is a board certified veterinary surgeon with a special interest in orthopedics, surgical oncology, general and reconstructive surgery. He moved to the southern Maryland area from North Carolina where he was a faculty surgeon at North Carolina State University College of Veterinary Medicine. He has published clinical and original research articles in peer-reviewed journals and served for 6 years on the editorial review board for the Veterinary Surgery journal. 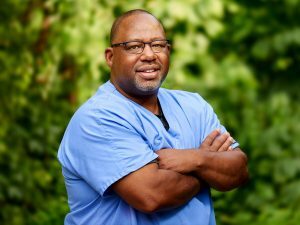 Dr. Rodney Oakley is a board certified veterinary surgeon with a special interest in orthopedic surgery, sports medicine and emergency surgery. Dr. Oakley completed a small animal surgical residency and a 2–year postdoctoral fellowship in medical neurology and neurosurgery at Michigan State University College of Veterinary Medicine. He relocated to southern Maryland in 2000, joining Dr. Nwadike and forming their referral surgical practice. Dr. Oakley has lectured at national and local scientific meetings and is notably published in veterinary literature.